Girls night calls for a new cupcake recipe!! I saw a recipe for these on Pinterest and figured this recipe would work due to the acid of the lime as well as the buttermilk. This recipe originally called for all butter but I find the product will crumble easily when all butter is used so I replaced half of the butter with canola oil. I also bumped up the flour a little bit as well. These turned out really well with a great taste and texture! Alternately add dry ingredients and the milk combination until mixed well. Pour into muffin cups and Bake 350 degrees F for 20-25 minutes. *Can also substitute the egg replacer in this recipe with 1/2 cup plain unsweetened yogurt. Beat until Fluffy. This may be a bit runny but you can add more icing sugar or refrigerate it for a bit before or after piping. 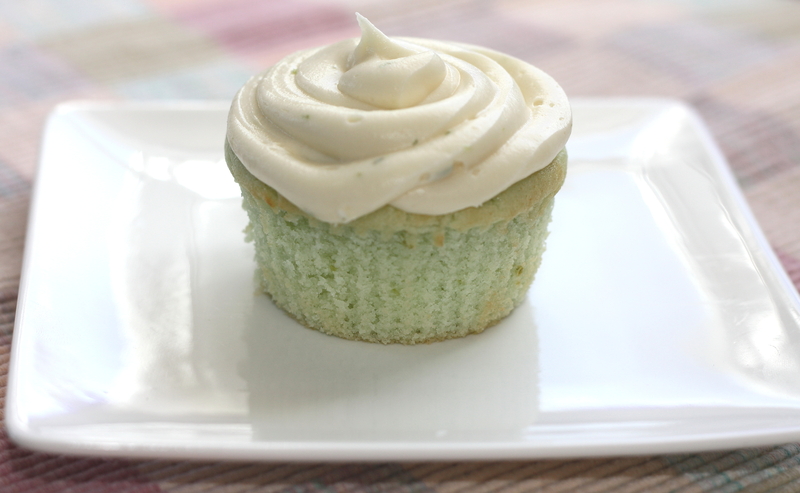 Looking for something green to bake for St. Patrick’s Day?